I spoke too soon! 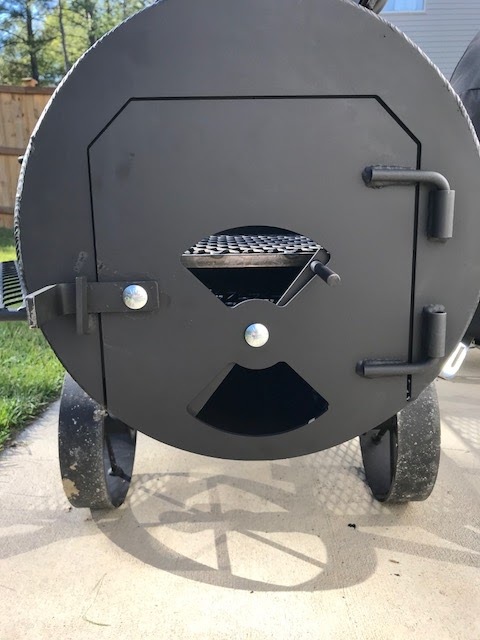 One of the new Cheyenne owners just received his smoker and we finally have a photo of the updated fire door along with a good report on performance (with kiln-dried wood). It looks like the new vent cut-outs have rounded corners. That could be a cost-saving measure because it's easier to do with automation. Last edited by slamkeys on Thu Oct 19, 2017 12:10 pm, edited 1 time in total. LOL! Yeah, I'm sure that will happen. I think I'm probably on the Yoder most-hated list these days. Yoder Herb is now saying there is no difference in performance between their original door and the new modified door. 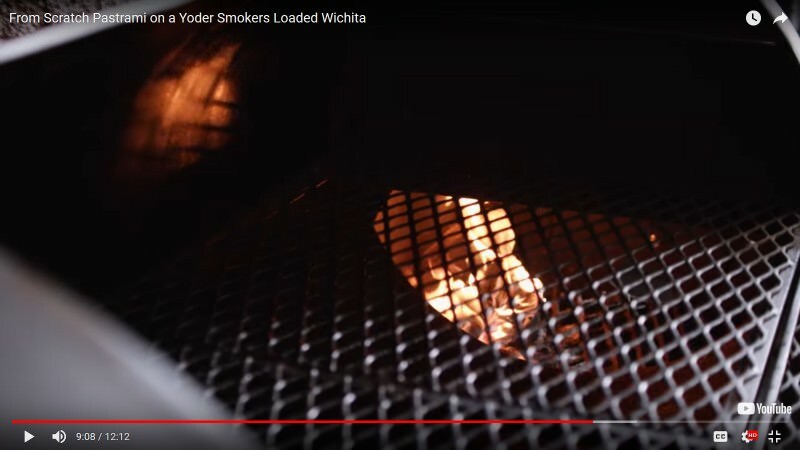 I guess Yoder's new strategy is to push the narrative that you need to use kiln-dried wood, and build your fires in the right rear corner of the firebox, and somehow this is to be viewed as a common practice. Sigh. Update: the link no longer works because Yoder removed all of my posts from their community forum. Did they even try moving the firebox down? My guess is no. It looks like Horizon wins the day on this one. Last edited by slamkeys on Sun Mar 04, 2018 12:35 am, edited 1 time in total. I'm disappointed. Hearing them proclaim there's no improvement with their attempted fix doesn't discredit the complaints from customers, it just proves their fix was insufficient to overcome the existing problem. My workaround, on the other hand, was based on months of testing with different weather conditions, woods, fire grates, etc. I can say with confidence that my performance is dramatically better with the huge single intake vent I'm using now. If Yoder's testing resulted in minimal performance gains, then why bother sending out modified units before they have achieved their performance goals? I don't have the resources to lower my firebox, but if I were in Yoder's position with their resources, that would be a no-brainer to test before doing anything else. Lower the firebox, streamline the heat management plate, then muck with the intake vent. It's common sense, but all we're seeing is, "Hey - we tried it your way and it didn't help, so we'll stick to our original flawless design." Here's an idea: Buy a Horizon 20" smoker and do a side-by-side comparison with a Wichita, and see which one performs better. Meanwhile, I'm still enjoying effortless fire management with my larger intake vent, using plain old firewood in the center of my firebox (no coals), with no white smoke and no open door. It's still a hack solution, but it's a simple workaround for the "choked" flow characteristics inherent with Yoder's high-mounted firebox combined with a massive steel barrier wall. Now Yoder Herb is talking about the importance of building small fires. Yoder Herb wrote: If you can not close the door and manage the fire via the door damper, your fire needs to be smaller. 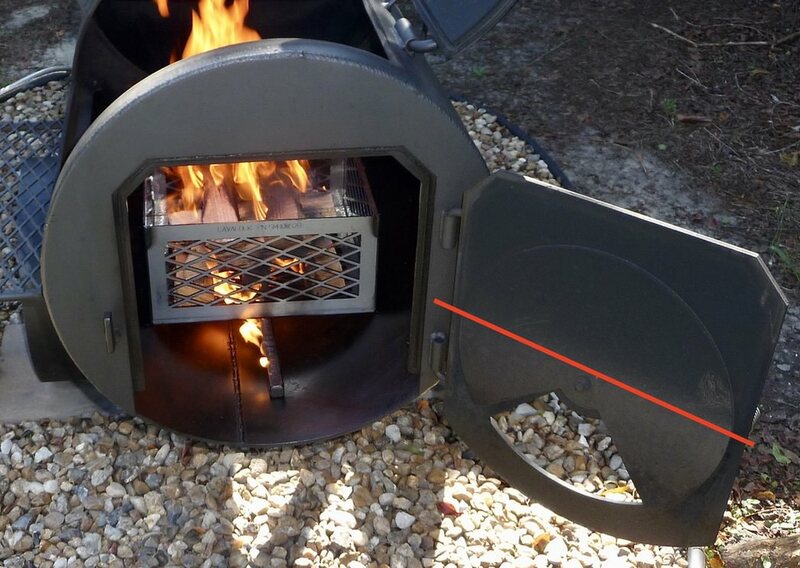 Also, with the smaller cookers, you need too keep the ash cleaned out from under the fire grate to allow for airflow. 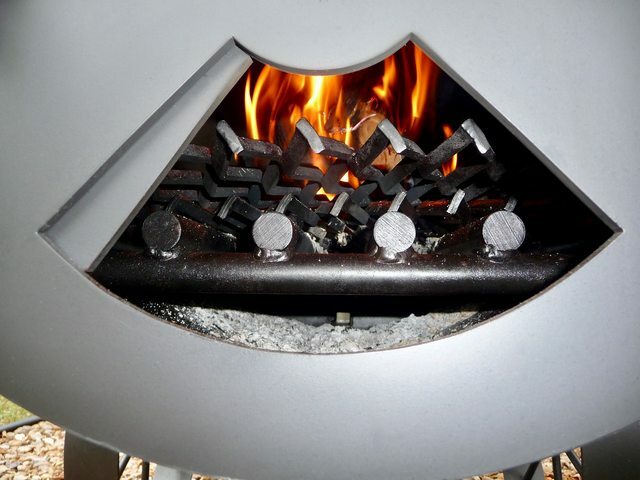 Use the ash rake that came with your cooker to pull the ashes from under the grate into a metal bucket. I doubt ashes are the issue here. I can cook for hours and hours and never get enough ashes to create an airflow problem. 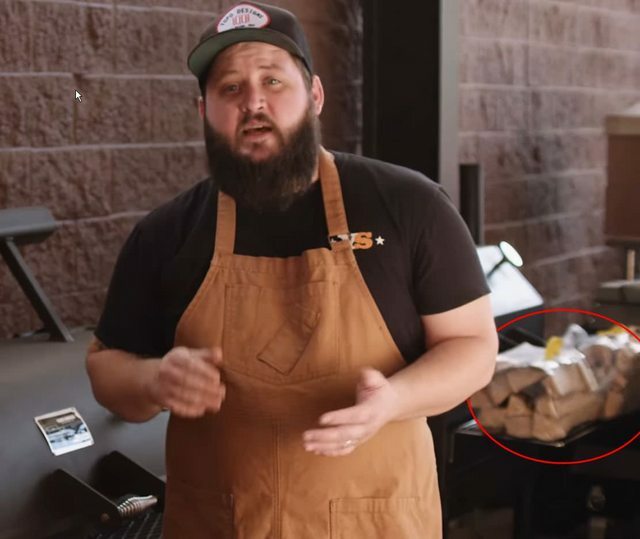 The keen observer will notice in the recommended video that Chef Tom is actually cooking on a Loaded Wichita with no heat management plate. I wonder why, knowing that the plate comes standard on the Loaded Wichita. Maybe I'll ask him on the Yoder forum. 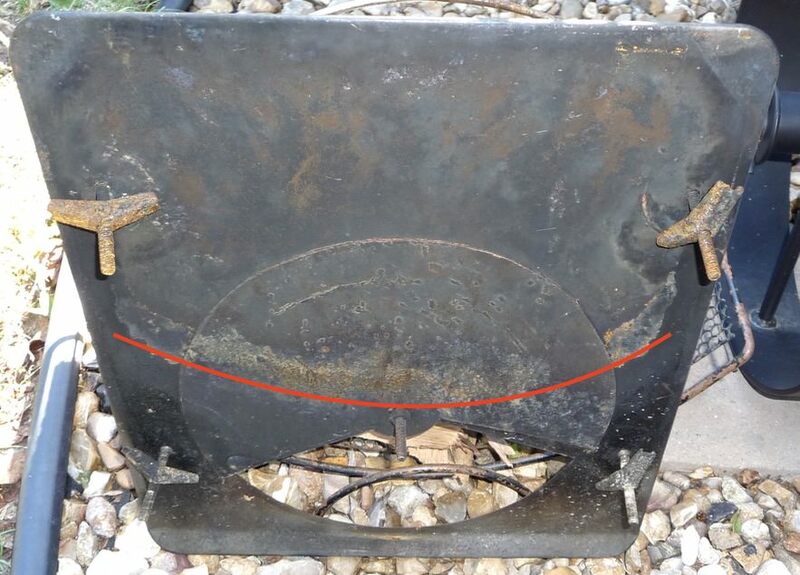 Yoder Herb wrote: The heat management plate was removed for this cook to illustrate the proper placement and size of fire for a Wichita offset, as was the scene showing the placement of wood for preheating. The Cheyenne will require a slightly smaller fire, and the Kingman will require a slightly larger fire. 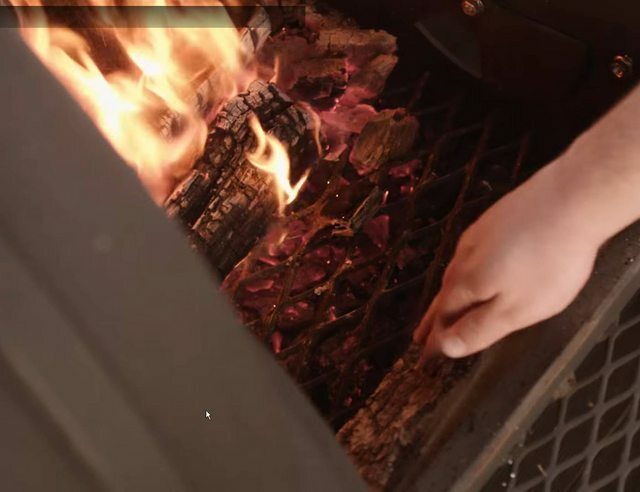 You can run any size of fire that you desire, but a larger fire than recommended for each cooker model, will require you to leave the door open, or modify the cooker to allow the required amount of oxygen into the cooker to support the amount of burning material. The video doesn't really show any fire management so it's surprising to hear they removed the heat management plate for one brief glance at the fire. What I did see was bags of kiln-dried wood lined up and ready to go, and a huge coal bed clearly visible spilling out below the fire grate. The interesting part of Yoder Herb's response (in bold) implies that you need to build a certain "recommended" size fire, or else you'll need to modify your cooker or open the door. Holy cow. I don't even know how to respond to that. Where is the "recommended" fire size posted? Here's a comparison between the old and new Cheyenne models. The old photo comes from the Yoder Website. It looks like the vent area is the same on both, but the door looks different on the new one. It appears to be a little taller, which doesn't really make sense. I wonder if they made the fire grate wider so it sits up higher in the firebox (it's completely above the lower vent opening), and that was the reason they made the door that much taller. I'm not sure how these design decisions are being made, but in my case I did many cooks under varying conditions and then analyzed results, including things like ease of use, and consistency, and I took a good number of photos for each cook. One obvious piece of evidence that always managed to show up was the heat/smoke line inside the fire door after a number of cooks. After dramatically lowering and enlarging my intake (not just moving it down by a couple of inches), my smoke line has settled even lower than it did when I was using the upper vent hole. Judging by this recent photo, the intake has to be at least below the center of the door or there will still be outflow, which has already been seen on the photo of the new Cheyenne after only one cook. Looking at the back of my old prototype door, which had been used dozens of times over a period of many months, the scorch line dropped almost to the top of the vent, which shows just how low you need to get that intake on these Yoders to compensate for the steel wall that holds back the heat. I think the heat management plate needs about a 1/3 cut off of it to start with and drop the firebox. I would cut the plate but might hurt the resale value as I wanting to sell it. I have followed this thread from beginning to end. In the process of doing that, I have learned there are many really sharp folks who know what they are doing. They know how to smoke meat. 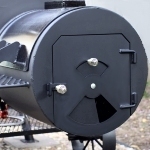 They know how a smoker should work. The have proposed solutions. Solutions have been developed out of their pockets to solve a problem the manufacturer should confront head on and thank them for bringing the issue and solutions to their attention. The manufacturer should own the problem. I am disappointed in the manufacturer for their approach. I will not be buying anything from them. Additionally I have watched my neighbor, who took delivery of the Loaded Wichita one year ago. I have watched that neighbor struggle with his smoker to get it to maintain the temp he is looking for and produce the best smoke possible. He had tried everything he could think of except contacting the manufacturer or joining this group. His cooks have suffered as a result of the issues with the smoker. I happened to be fortunate enough to find the Texas BBQ Forum, and find this thread. Thank you for getting this all out there. Excellent customer service and accountability is apparently really rare. I found out the square firebox Yoder lists as an option on the Kingman is actually offered on the Wichita as well and they build between 15-20 a year, it’s just not shown as an option on ATB or Yoder’s websites. Don’t know how much it changes fire management, can’t find anyone that has one. Door looks like it sits lower, Yoder has told me it burns hotter by design. freddie987 wrote: Need to see this!!! They said they would put one on my Wichita, but the cost is more because the extra labor involved in cutting the old firebox off and prepping for the square firebox. The same HMP is used along with my charcoal basket.